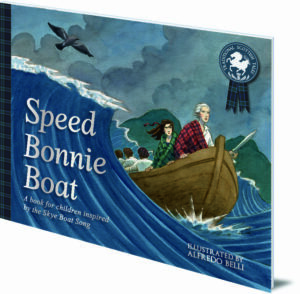 This guest post from Floris Books highlights the enduring popularity of the traditional Scottish song ‘The Skye Boat Song’ and introduces their new beautifully illustrated take on this dramatic and much-loved ballad for a young audience. You can also listen to a performance of The Skye Boat Song by a traditional Gaelic singer – why not sing along? A few weeks ago, under cold, grey January skies the cast of Outlander were filming at the bottom of the Royal Mile. Unsurprisingly, a sudden flurry of excitement followed as the press and fans rushed to capture a glimpse of the cameras, the crew and the claymores. The popularity of Diana Gabaldon’s creation is one of the key signs of a sudden resurgence in interest surrounding Bonnie Prince Charlie and the Jacobite Rebellion. Nevertheless, this new appetite for all things Jacobite is not restricted to film and TV. This Spring, Edinburgh-based Floris Books are publishing a new picture book inspired by the Skye Boat Song. Part of the Traditional Scottish Tales series, Italian artist Alfredo Belli has beautifully illustrated this new version, which introduces children to the history of the last Stuart Prince and the ’45. The book provides a child-friendly introduction to the Young Pretender, his fight for the British throne, his defeat at Culloden and his flight to the Isle of Skye, where he sought refuge with the help of Flora MacDonald. Crucially, the Floris Books version does not end on the battlefield. 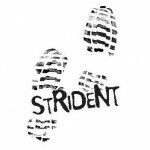 Instead the reader is left with a sense of calm and peace as they see the young Stuart Prince safe out of harm’s way on the Isle of Skye. 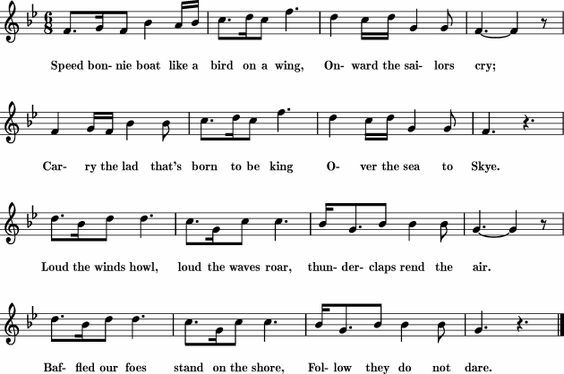 The music of the Skye Boat Song is a Scottish folk tune that was traditionally used as a rowing rhythm. In the 1870s Anne Campbell MacLeod heard the tune in Skye, and she arranged it for lyrics by Sir Harold Boulton. The song quickly became popular and it remains one of the most well known Scottish songs, at home and abroad. 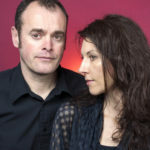 You can listen to a version of the song here, sung by traditional Gaelic singer, Catherine Tinney. Why not try singing the tune yourself? Below is the sheet music for the main chorus, as well as the melody for each verse. Sing your way through history! Speed Bonnie Boat will be published by Floris Books on 16th March 2017 priced £6.99.